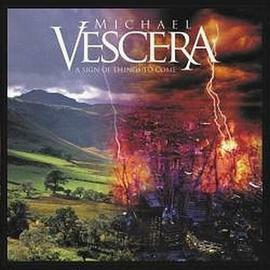 This 2008 album by American singer Vescera is another example of his love for neo-classical metal and as you will know, that type of music always requires six string shredders. So on board are guitar players like Joe Stump, Jim Bell and Mike Chlasiak to name but a few. Vescera has released more albums, some under the Michael Vescera Project (MVP) banner. He has a high pitched voice not uncommon in this style and I consider him a seasoned pro. The down side of this musical style is the predictability. It is very hard to make a record that has a unique quality. And to be blunt, I don´t think this one succeeded either. On the other hand, this is a consistent album with enough memorable melodies, the ripping solos you´d expect and overall it is still an enjoyable affair. So nothing new maybe, but still decent enough to validate the buy. Personal play tips: If you like the first 3 tracks, you will enjoy the others as well.